We are delighted to have Kayleigh Humphreys from North Herts College, spending one day a week with us as part of her work experience in the 1st year of her 2 year course on Health and Social Care. Kayleigh is a local girl who has lived in Barley village all her life. 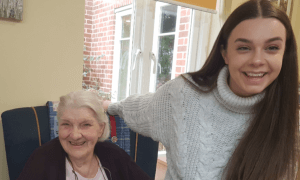 She has always known that she wanted to have a career working in care and helping other people and we were thrilled that Margaret House was her first choice of place to come to when it came to getting work experience. 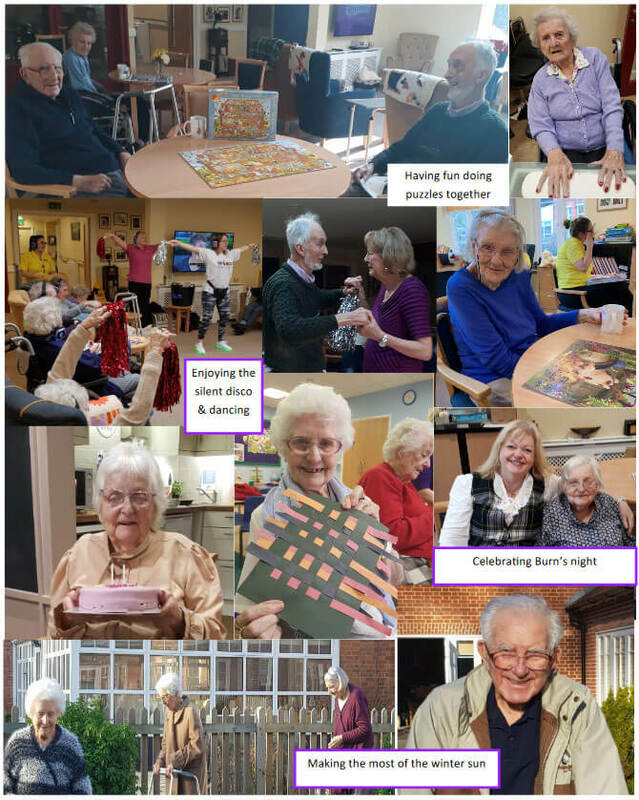 Kayleigh said “It is so rewarding working in a care environment, I have become very fond of the residents and I have really developed my social skills”. She also commented “that she already feels part of the team and that all the staff are been extremely welcoming”. Kayleigh started with us in November and will continue with us until July. However, we hope that she also comes back for her Year 2!! Please join us on Friday 22 February at 11.00 am for coffee and cake as we celebrate that our Phylomena wing will now have been open for 3 years. We can’t believe how quickly the time has gone. We are pleased to announce that we have formed a partnership with Barley and Barkway school which will see us working closely together in a variety of ways. 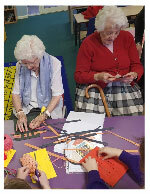 The 1st has been joining their after school arts class where we are going to be working on several art projects. We have new Spring Food & Beverages Menus starting in February. Using the best of Apetito and our own in-house catering team, we offer the most outstanding dining options everyday. Click the link to the PDF version of the newsletter at the bottom of this page to see the full menu.